The CPA(ML) greatly values contributions from our readers and supporters. US Imperialism intensifies hostility towards Cuba includes some analysis of history which differs from our party’s. 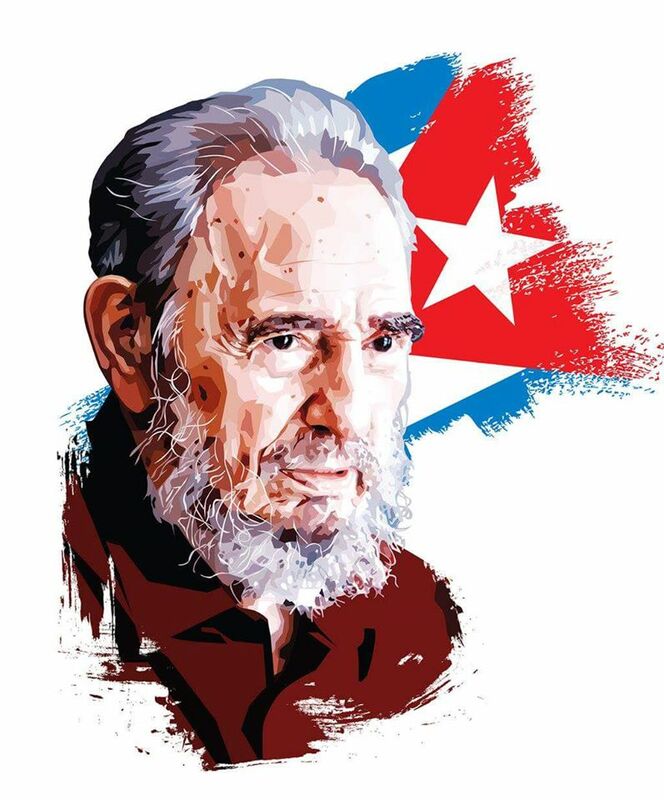 As the article points out, Cuba is a beacon to the world for standing firm against US political, economic, cultural and military bullying since it overthrew the Batista regime. It continues to guard its independence and build socialism. Science demands we seek truth from facts and change theory to fit those facts. Like any party, we make mistakes. As errors are revealed, we try to correct them. The CPA(ML) has substantially altered its views on Cuba since the 1970s and 1980s, the period covered by the following article. At that time, we saw Cuba as a deputy sheriff of the Soviet Union. The latter was well entrenched by then in its restoration of capitalism, though still calling itself socialist. We also warned that Cuba endangered its security and independence by tying its economy so closely to the demands of the Soviet empire for sugar and tobacco. When the Soviet Union finally succumbed to openly declared capitalism, this narrow economy proved to be a great hurdle that socialist Cuba eventually overcame, but at some cost. In 1942, in the midst of World War Two, Prime Minister John Curtin gave his landmark ‘turn to America’ speech. In the face of British abandonment of Australia to Japanese invasion, he turned Australia away from ‘traditional ties’ with British imperialism to “alliance” with the US. A necessity at that point, it quickly turned from alliance to subservience. In the 1970s, nowhere was this clearer than with the destabilisation and eventual sacking of the Whitlam Government. Our party led the protests against coup-master, US Ambassador Marshall Green, well before the overthrow of Whitlam. We exposed, long before John Pilger, the CIA links of the Australian Governor General Sir John Kerr, and the prior knowledge of the coup by the US multinational Westinghouse Corporation, evidenced in a court case against it for failure to meet nuclear power contracts reliant on Australian uranium. All would be well, Westinghouse boasted, once the Australian Government was dumped in a few days. But as the US suffered defeat after defeat, in Vietnam, Laos, Cambodia, as independence and socialist movements raged across Africa and the Pacific, and the anti-imperialist cry “Yankee go home!” echoed around South and Central America, the CPA(ML) began to mistakenly see the rising social-imperialist power as equally if not more dangerous than US imperialism. Yet all the while, Australia was dominated by the US. Its coup against an elected Australian government effectively showed the US controlled state power here. We were right to speak of social-imperialism, capitalist restoration in socialist guise? We were right to warn of Soviet inroads into Australia, like the failed property developments between the Moscow Narodny Bank and the man dubbed Quick Quid Sid Londish by residents in the working class harbourside gem, Sydney’s Woolloomooloo. Just as Chinese billionaires and companies try to gain influence in political parties, the revisionist Soviet Union put great effort into building links with the Labor Party, some unions and with social-democratic parliamentary parties worldwide. It spoke constantly of peaceful transition to socialism through parliament. Wow! Wouldn’t that be great! Imagine it, all those billionaires and their corporations peacefully handing power over to the people. The CPA(ML) has always said that peaceful transition to socialism is as likely as pigs flying. Vanguard exposed this in the 1970s. Cuba is proof. Its revolution has stood the test of time because it overthrew the capitalist class and set up a dictatorship of the proletariat and its allies, the vast masses of the people. In the 70s and 80s, though it had suffered big military, ideological defeats and exposure, the US economy was far from on its knees, while Russia’s was heading into a quagmire. Unlike the new capitalist class of China, its newly capitalist economy was hopelessly mired in an outdated understanding of how best to make profits. Then the failed invasion of Afghanistan from 1979 to 1989 broke its back. Can you export revolution? We think not. We can assist each other, but we cannot make revolution through invasion. Did the Soviet Union’s invasions of Hungary, Czechoslovakia and Afghanistan bring independence and peace, or did they create ongoing resentments and distrust of genuine socialism? Did Cuban troops influence the results of the struggles in South Africa and Zimbabwe? Resoundingly yes. As our correspondent says, many were overwhelmingly grateful for their involvement. Yet both South Africa and Rhodesia were already facing armed uprisings. In South Africa the revolutionary movement was led by the Marxist-Leninist Pan Africanist Congress and Black Consciousness Movement. Cuban involvement shifted the balance of power towards Nelson Mandela’s ANC. In Zimbabwe, instead of revolutionary change, Robert Mugabe was elected in a Commonwealth-brokered deal, stuck with white ownership of key sectors of the economy for decades. Like Cuba and Venezuela, when fundamental change was attempted, Zimbabwe was blockaded when suffering terrible drought, then blamed for the results. In South Africa, despite the love and respect for Nelson Mandela, little has changed for grassroots people. The period of time during which Cuba aligned itself with Soviet social-imperialism coincided with the struggle between Ethiopia and Eritrea over the latter’s fight for independence and between Ethiopia and Somalia over the Ogaden region. Ethiopia had reneged on a 1951 UN agreement under which Eritrea was independent in all but foreign policy and defence by cancelling its parliament and annexing the territory. In the war that followed the Somali invasion of the Ogaden, the Soviets sent Ethiopia more than $1 billion in military aid supported by 16,000 Cuban soldiers. The Cubans helped retake those parts of Ethiopia seized by the Somalis allowing Ethiopia to transfer troops to the Eritrean front, containing the Eritrean drive for independence. Thirty years of armed conflict followed, with Eritrea eventually gaining its independence in 1991.The mess that is Somalia today is a continuing outcome of the Cuban-Ethiopian victory over the Somali army. All of us make errors. Marx did. So did Lenin, Mao and Fidel. Our party’s errors were made at a time when two superpowers, the imperialist US and the social-imperialist Soviet Union, threatened the world with annihilation. We may make more mistakes now that US imperialism is preparing for war with its social-imperialist rival, China. Only those who do nothing make no mistakes. Only those who are not genuine try to cover up and deny their mistakes.